The Global Game Jam (GGJ) is the world’s largest game jam event taking place around the world at physical locations. Think of it as a hackathon focused on game development. It is the growth of an idea that in today’s heavily connected world, we could come together, be creative, share experiences and express ourselves in a multitude of ways using video games – it is very universal. The weekend stirs a global creative buzz in games, while at the same time exploring the process of development, be it programming, iterative design, narrative exploration or artistic expression. It is all condensed into a 48 hour development cycle. TAG encourages people with all kinds of backgrounds to participate and contribute to this global spread of game development and creativity. The Global Game Jam is an experience like no other. While working on your GGJ games this year, take a second to think of all the people around the world who are working on their games, with the same theme, in that very moment! It’s the ultimate in creative energy. The structure of a jam is usually that everyone gathers on Friday late afternoon, watches a short video keynote with advice from leading game developers, and then a secret theme is announced. All sites worldwide are then challenged to make games based on that same theme, with games to be completed by Sunday afternoon. In January 2013, there were 309 location in 63 countries created over 3000 games in one weekend! GGJ 2014 is January 24-26 at Concordia University. The jam is known for helping foster new friendships, increase confidence and opportunities within the community. The jam is always an intellectual challenge. People are invited to explore new technology tools, trying on new roles in development and testing their skills to do something that requires them to design, develop create, test and make a new game in the time span of 48 hours. This year’s Global Gam jam will be presented by Critical Hit, TAG’s very own game incubator. TAG encourages people who would like to participate in the 2014 edition of Critical Hit to participate in the Global Game Jam. Critical Hit is an incubator that hatches experimental, avant-garde, unique, and otherwise innovative games that might not get made in a commercial ecosystem. It welcomes all aspiring makers, including students, indie developers, new media artists, and hobby developers. Each year, Critical Hit focuses on a new subset of game design, continually innovating and testing cutting-edge game development pedagogies. Then, you must register on the Global Game Jam site and choose our location. 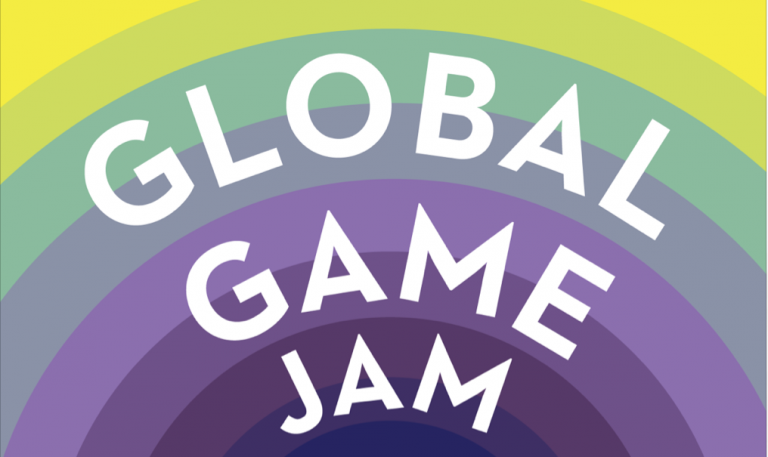 The Global Game Jam is a 48-hour game jam, where people all around the world work simultaneously on games with the same secret theme! The theme will be announced during opening events. Begins at 16h30 Friday, ends at 18h00 Sunday; Awards Presentation follows. 18h30: Theme is revealed. Ice-breakers and group formation. 14h: Update, commit, last-minute debugging. 15h: Deadline. Hand in the best version of your game. 15h – 16h30: “Games’n’mingling”– try out each other’s games! Jury arrives. 16h30-18h: Presentation to Jury; teams present their games and answer questions. For this particular jam, the theme is always secret. The organisers don’t even know what it is. So come prepared with an open mind; be willing to hear other people’s ideas and work with new team members. Your game will change at some point during the jam, this is normal! For more advice on this, check out the recap of GAMERella’s game design workshop. You cannot sleep at the jam site. This is not because we don’t love you; it’s Concordia’s policy. If security sees you asleep, they will wake you up or send you home. Bring a pillow for comfort, but go home to your comfy bed when you’re tired. *Tip: it gets cold in the jam space at night! Bring an extra sweater or a blanket to keep warm. We will be providing small meals and snacks. If you need something more substantial, there are many great restaurants and take-out places around the jam area to choose from. There’s even a grocery store on the next block! Do I need to bring a team or can I sign up alone? You can sign up with a team already formed, but you can also come solo and join a team while you’re here; we’ll have a team building session to help facilitate this. If you’re up to the challenge, you can also make a game by yourself, but we recommend trying to work with some new team members–it makes the jam a lot more fun! There is no required number, but we highly recommend you stick to a maximum of 3. Anything above that can be problematic. The rules for game jams are as follows: you are not allowed to bring in any existing content. All assets of your game must be original, made from the start of the jam. You may use a pre-existing library, however, and if you do not have a sound person on the team, generally it is okay to include pre-existing sound which you have the rights to use. However, the theme is secret and using a pre-conceived idea will most likely get you into trouble. It is nearly impossible to make a good game by trying to force it into a particular theme; instead, build your game using the theme to make it cohesive. I’m not available the whole weekend–can I still participate? In order to participate in the jam, you must be available the whole weekend. I don’t have a laptop. Can I bring my desktop? You may, but only if you arrange this with us ahead of time. Please email tag [dot] coordinator [at] concordia.ca to get this approved. Wait! I have questions not listed here! Drop us a line at: tag [dot] coordinator [at] concordia.ca–we’ll get back to you as soon as we can! Or, write us a message on Facebook!